Parenthood can feel like little more than endless nagging. Clean up your toys. Do your homework. No, don’t do that. No, you still can’t do that. Trying to get kids to listen can be exhausting. The frustration of nagging can also affect your relationship with your child. Parents can become angry and unkind, or they may spend so much time trying to get kids to listen that they are unable to enjoy playing with their kids. Children may become resentful or feel like the only attention they get from their parents is negative. You don’t have to spend your kids’ childhood as an exasperated taskmaster. Here’s how to end the battle of wills for good. Every parent has to give their child instructions. Whether it’s teaching a child how to clean up a spill or reminding a child to pack their lunch for school, these daily reminders and instructions are par for the course. Nagging is categorically different. Parents nag when they repeatedly remind children of their chores and obligations. The fundamental issue underlying nagging is that the parent takes on responsibility for the child. Rather than a child worrying about completing her own homework, for example, the parent manages the child’s time for them. Excessive emotional labor for the parent. Keeping track of a child’s responsibilities can be exhausting, especially when that work primarily or exclusively falls to one parent. A parent who must manage the child’s time and responsibilities has less time of their own. They also have less mental space for creative thinking, daydreaming, and strategizing. This can be exhausting and even depressing. 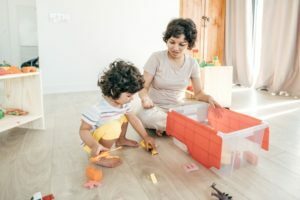 When one parent does all or most of the emotional labor, this can negatively affect the parents’ relationship with each other. Fewer opportunities to learn. Children can learn from failure. In fact, in some cases failure is a potent motivator. A child who can’t go on a field trip or a fun school outing may never again forget a permission slip. Less independence for children. Children need some freedom to control their own time, explore their own interests, and make their own decisions. This helps foster self-efficacy that can propel them into successful, autonomous adulthood. Consider that a fifth grader might be more productive at night, or they may work better in 15-minute chunks than in one long hour-long session. Parents who nag their children exert unnecessary control over the child’s decisions and time. Giving children a little more freedom can help them find time management skills that work. Making parenthood less enjoyable. Parenthood is exhausting and grueling. All parents struggle with feeling overwhelmed from time to time. Parents who continually nag their children, however, may feel even more overwhelmed. Nagging nurtures a negative relationship cycle that can make both parents and children angry and resentful. Perhaps most importantly, nagging may not work. If nagging did work, parents wouldn’t have to do it all the time because children would begin remembering their obligations. So parents who nag often waste time and emotional effort on a strategy that’s doomed to fail. Including your child in discussions about family goals. Solicit your child’s input on which tasks they think are fair and how frequently they should do them. Getting your child invested in family life. It’s tough to motivate a kid to cut the lawn when they don’t care how the house looks, for example. Likewise, kids may not want to clean their room if they feel like they’re being forced. Helping kids see the benefits of various tasks—easily finding toys, for example—may help. In some cases, an extrinsic motivator such as an allowance may improve compliance. Allowing your child to decide how to do the tasks you ask them to complete. Don’t force your child to complete homework at a specific time, in the room of your choosing, while you stand over them. Giving your child age-appropriate freedom to make decisions can improve compliance. Recognizing what is and is not developmentally typical. A four-year-old cannot anticipate plans for tomorrow, and a six-year-old can’t set long-term goals. Know whether your expectations are reasonable. Making time and space for your child’s goals. Are there things your child wants you to do—such as play soccer or help them paint their new chest of drawers? Negotiating time to do the things your child wants can help them feel like you value them and their time, potentially ending the fight over chores. Being direct. Tell your child what you want them to do, and ensure they know how to do it. Don’t be passive-aggressive or attempt to guilt-trip your child. Every child is an individual with their own personality. Some kids will never care about an organized room. Others are meticulously clean. Allow space for your child’s unique personality by setting some minimum requirements, then allowing your child to decide how to meet those requirements. Is there a way I can give my child more autonomy to do this task? For example, can I let my child pick their own shampoo, or decide what time to take a shower? Is there a different activity my child can do that accomplishes the same goal? Most parents want their children to be fit and active. That doesn’t mean they need to play a specific sport, or even spend time outside. A fitness video game, spending time in the garden, or ballroom dancing classes might help. How can I give my child more control when they have no choice? No child wants to get a shot. Allowing the child to pick which arm the injection goes into or what you do after the shot might help. Why do I want my child to do this thing? Sometimes tradition, your own childhood, or fears about what others might think can affect your parenting. There’s nothing inherently harmful about wearing mismatched clothes or going out with messy hair. Is my child able to do this? A child who repeatedly “fails” to complete a task may not be deliberately disobeying you. They might not be old enough to complete the task, or they might have a condition such as ADHD or autism that makes the task difficult. Is my child ignoring me as a way of acting out? Children may display behavioral problems due to bullying at school, trauma, or a recent change in the family, such as the birth of a new sibling. Help you identify developmental factors that affect your child’s ability to listen. Help you and your child talk through communication barriers and find common ground. Identify underlying concerns that may impede communication. ADHD and other issues may cause a child to struggle to keep up no matter how much you nag. The right therapist can help you adapt your parenting style and find the right comprehensive treatment. Help you discuss your own feelings about a child’s noncompliance. Many parents worry that they are inadequate or that other parents will judge them. A compassionate therapist can help you end the nagging war. There is no shame in seeking support.